"Help for the Holidays" is a fantasy outing from Hallmark that hits all the right beats. Eva La Rue and Dan Gauthier play a couple that’s successful Christmas store has caused them to neglect their kids and the joy of Christmas. Luckily one of Santa’s elves (Summer Glau) makes it her mission, Mary Poppins-style, to put the jovial spirit back into their Christmas. 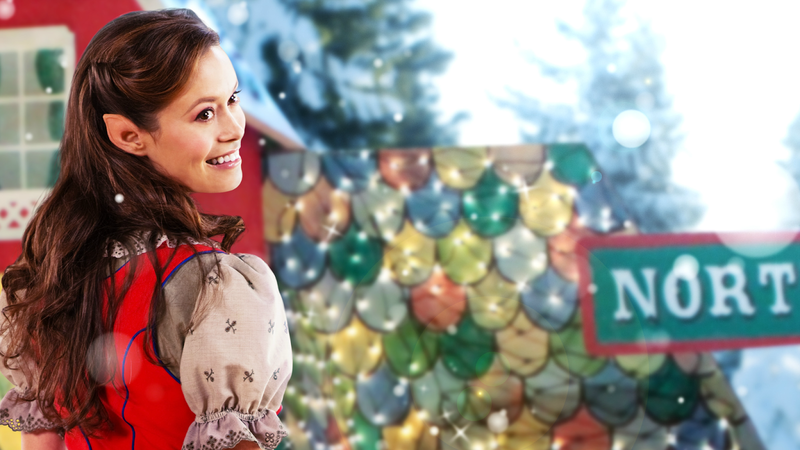 Glau brings her usual quirk and classy sensibility to the role of Santa’s helper. Along with bringing some magic to other people's Christmas, she finds some of her own. In turn, the audience gets to experience the movie's. Back in the day, when Freeform aka ABC Family was The Family Channel, there were hardly any new original Christmas movies. So “Christmas Every Day” seemed to air every day. Having watched this movie multiple times over Christmas break, there will always be a soft spot for this crunchy chunk of Christmas cheer. Erik von Detten ("The Princess Diaries") stars as Billy, a frustrated teen, who wakes up to it being Christmas every day, until he can treat his family well and love his gifts. "Christmas Every Day" is a story of giving, teen angst, sibling respect and most of all, learning from one’s mistakes. Oh and it’s the teen Christmas version of “Groundhog Day”. 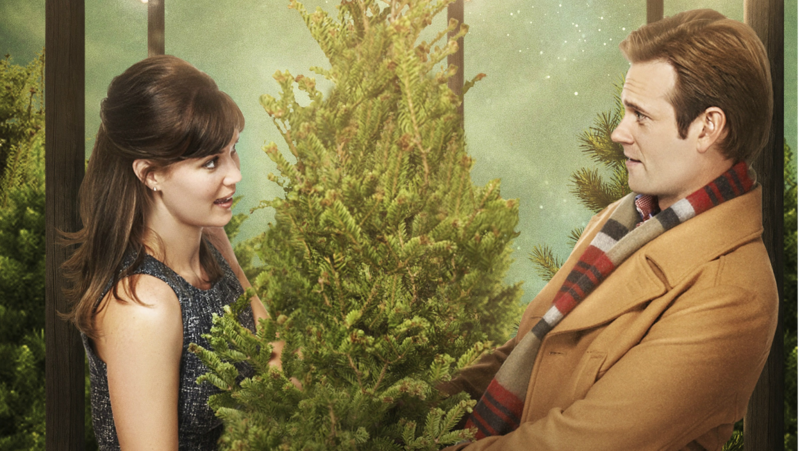 Watching it every day before Christmas is a bit much, but once is definitely worthwhile. Before he played meth kingpin Walter White on AMC’s “Breaking Bad”, Bryan Cranston was bringing the funny on “Malcolm in the Middle.” It was during that show's run that he starred in this clever Disney Channel original movie opposite Josh Zuckerman. Cranston plays free-wheeling Uncle Nick, whose adventurous streak leads him and his nephew to take a spin in Santa’s souped-up sleigh, which in turn, almost ruins Christmas. Cranston and Zuckerman have great buddy chemistry that elevates this past run-of-the-mill Disney Channel offerings. The comedy is sharp and it plays on childhood fantasy without alienating adult viewers. It’s for all intents and purposes a fun, yuletide ride. When a woman (Amy Smart) mistreats her blind date (Mark-Paul Gosselaar), the fates intervene and make her repeat her Christmas Eve outing, 12 times. Deciding to embrace the experience, she uses it to learn something new about her prospective paramour on each date. She must then put the pieces together and try to make her newfound chance at love work, before it is too late. "12 Dates of Christmas" does have some genuinely funny moments as Smart’s character tries to grow up. She and Gosselaar make for an interesting screen couple and their chemistry distracts from the more cliché angles of the story, such as being startlingly similar to #11 on this list. After a man (Callard Harris) is injured saving a psychiatrist (Torrey DeVitto) from an accident, he wakes up believing he is the real Santa Claus. Is he or isn’t he? It is the central question of the movie and while that plotline might sound a tad ridiculous, "The Real St. Nick" is actually a pretty heartfelt movie that deals with some heavy subject matters, such as grief. To its major credit, its approach to addressing those dark issues sidesteps being dreary or depressing. The supporting cast is what makes the movie pop, especially Kenneth Choi's portrayal of a patient who is convinced he is Jack Nicholson. “The Real St. Nick” is enriched by a talented cast that works in unison to tell a poignant story. Amy Acker stars as Olivia, a wayward trust fund baby, whose parents threaten to cut her off, if she does not change her lifestyle by Christmas. Lo and behold she finds a letter from a little girl to Santa, whose desire is to have a new wife for her dad. Olivia decides to rise to the occasion and pursue the girl’s widowed father. He is the classic good guy, Lifetime Movie dreams are made of, and because of that the movie works. Rooting for the convivial Olivia to change her ways and find true happiness is an easy leap to make. The story is sweet, the setting is homespun and the outcome, comically tense. This is a worthy little gem. Circumstances force the newly unemployed, Elise (Sarah Lancaster) to help her family out with their Christmas tree lot for the holiday season. Battling an ill-will towards Christmas, after having not-so fond memories from her adolescence, she has to dig deep and as a result, earns a deeper appreciation for her childhood. Lancaster is breezily engaging as the lead and her romance with Eric Johnson strikes the right balance of being cute, without coming across as syrupy. Of course, the message of standing by family is a cornerstone that is pleasantly touched upon with the appropriate amount of yuletide zeal. This is one of those Lifetime thrillers that is guiltily enthralling, and thoroughly engaging. It focuses on the central problem facing working parents. They have to balance their career with their life at home. Leslie Hope plays a cop who must track down an infant, who has been abducted at Christmas, before the baby and their kidnapper disappear forever. The aspect the movie excels with is in conveying that Hope’s character is motivated out of compassion for a fellow mother, not out of an ambitious motivation for self-promotion. The mystery has a good pace and because of the characters, the tension never loses its grip. Romance blossoms at Christmas between a widow (Roma Downey) and a curmudgeonly businessman (Eric McCormack) when he hires her and her daughter to pretend to be his family so he can close a business deal. Thankfully, his cold heart is eventually melted by the family dynamic. The way all of this unfolds is endearingly enjoyable. McCormack is especially charming in a role that requires a lot of charisma, due to his character beginning as a complete jerk. A certain scene with a dollhouse is a lastingly sweet image that is the movie’s trademark moment. "Borrowed Hearts" tells a lovable story that is enduring in its relevance as it underlines the importance of family. Hilarie Burton stars as the ironically named Krissy Kringle, a Christmas cynic and overall grinch, who receives the accidental gift of a lifetime when she gets hold of Santa’s Naughty or Nice list. At first deciding to use her newfound powers to even the score with her enemies, she soon learns the true meaning of Christmas. Burton’s penchant for massive screen appeal, adds an extra punch of entertainment value. For those who have missed seeing her on TV, since she left the ultimate teen soap ("One Tree Hill"), "Naughty or Nice" is a welcomed homecoming to the small screen for the always likable actress. Helping her out is the script, which is funny and surprisingly clever. "Naughty or Nice" is easily one of Hallmark’s best movies. While many Christmas movies focus on Santa, "Finding Mrs. Clause" switches gears to throw the spotlight on Mrs. Claus. Santa’s better half takes center stage in this warm-hearted Lifetime jewel. “Finding Mrs. Clause” offers a refreshing take on the Santa-story, tackling the creative elements that comprise the legend. In this story, Mrs. Claus (Mira Sorvino) feels disenfranchised by Santa (Will Sasso) and sets off to Las Vegas to make a little girl’s Christmas wish come true. Santa soon embarks on a journey to find her and an array of humorous events follow. Exploring the marital problems of the Clauses is interesting ground to cover and the story is navigated with savvy. The message: if the Clauses can figure out how to make it work, there is hope for the rest of us. When a runaway bride (Arielle Kebbel) calls off her latest wedding, she swears off relationships, until she meets “the one”. As luck, or rather a Hallmark script would have it; a perennial bachelor makes a bet with his buddies that he can get engaged by Christmas. "A Bride for Christmas" is Hallmark’s family friendly answer to “How to Lose a Guy in 10 Days” with a dash of “Runaway Bride” thrown in for good measure. It manages to make a mark for itself with the charming turns of its leads, Arielle Kebbel and Andrew Walker, who capture a delightful chemistry between one another. Wholesome and pleasantly humorous, “A Bride for Christmas” will not change the world. It will make it feel a lot brighter though.